What better way to spend a beautiful Sunday morning than listening to a talk about plutonium pits, radioactive leaks, and the possibilities of an accidental, nuclear start to World War III? You would never guess that surrounding this complex devoted to nuclear arms is some of the most striking scenery in northern New Mexico. Welcome to New Mexico, where since World War II the state has been at least partially defined by its historical and ongoing role in bringing us nuclear weapons. Say Los Alamos, and most people (or am I being too optimistic?) can probably identify it as the birthplace of the atomic bomb. They might even know that the first A-bomb was successfully tested some several hundred miles to the south near Alamagordo (they’re less likely to know about the Downwinders, the New Mexicans exposed to fallout from the blast, who are still seeking compensation for their related health ills). But outside of New Mexico, I doubt few people keep tabs on the ongoing nuclear arms development that takes place at Los Alamos National Laboratory (LANL) and, to a lesser extent, at Sandia, a national lab in Albuquerque. And outsiders probably don’t have the same concern about the still-closed Waste Isolation Pilot Plant (WIPP) in Carlsbad, which suffered two accidents in 2014, but which could, when it’s reopened, take on nuclear waste from around the United States and perhaps other countries as well. Greg Mello of the Los Alamos Study Group (LASG) knows all about New Mexico’s nuclear history and LANL and WIPP and the billions of dollars the government plans to spend over the next few decades to modernize its nuclear weapons—with the most important work going on at LANL. A co-founder of LASG, Mello drew a sizable crowd into a Santa Fe book store today for a talk titled “Crawl Out Through the Fallout: LANL and the Future of Santa Fe.” His talk went beyond Santa Fe to look at what he would consider, I think, one of our state’s big lies: that the New Mexico economy needs both national laboratories to survive. Our elected officials in Congress seem to think so, and none of them have called for slowing down or reversing the push to build more and more advanced nuclear arms. Mello and some in the audience singled out Senator Tom Udall, considered a liberal on most issues, for wrongly supporting the labs at all costs. I had bought the economic-necessity argument for the labs, and even Mello’s own numbers show that some people would be hurt if LANL disappeared. About 1/3 of its approximately 10,000 employees don’t have college degrees. Could they get jobs with the same security and benefits if the lab closed? And given the past actions and current ambitions of Russia and China, some would argue that the United States would be foolish to stop investing in its nuclear arsenal. LANL is at the heart of that effort, helping to design and build weapons hundreds of times more powerful than the first atomic bombs. But Mello argued that overall, since the end of World War II, the billions of dollars spent at LANL have not helped Santa Fe or New Mexico. That money and the research done at the labs have not kept the state from staying at or falling to the bottom of the barrel when it comes to important economic indicators. Together the labs employ only 2 percent of the state’s workforce, and although the PhD researchers are well paid, the money does not necessarily benefit the state as a whole. And while Mello did not say much about this, the people who have benefited include execs at Bechtel and other members of the public-private consortium that runs the lab (the folks who got the blame for the WIPP accidents and were recently cited for other safety violations. But hey, what are a few accidents if we can cut corners and make more money?). LANL produces most of the country’s plutonium pits, the “triggers” in today’s thermonuclear weapons. In an era of what Mello called “continuous war,” he and LASG are working for what many might think is a pipe dream: nuclear disarmament. But the group is also concerned about environmental safety—particularly as it relates to nuclear waste—social justice, and economic sustainability. Mello called on the audience to get involved, especially by letting elected officials know that they oppose the growing efforts at LANL to expand our nuclear arsenal. Speak out, he said, against the “myth of defense,” that we can spend our way to greater security. (To a degree, Mello suggested, the government sees our defense spending as part of overall U.S. efforts at deterrence, an attempt to show potential foes we’ll go to any length to ensure military dominance and control “all aspects of the escalatory ladder.”) Realize, Mello said, that companies like Bechtel lobby Congress to pursue policies that fatten their bottom lines, while putting us at risk of an arms race without end and exposure to environmental hazards. The New START nuclear arms agreement with Russia runs out in 2021. What will follow? We don’t know. I’m sure if Mello has his way, the United States will end its efforts to build more powerful and stealthy nuclear cruise missiles, which are helping to fuel the new arms race. I left the talk thinking that nuclear disarmament is a great idea, but are the other members of the “club” going to buy it? Regardless of what happens in Washington, I think most people here would agree that it’s a little scary living so close to a place where plutonium is prepared to kill perhaps millions of people, and waste products of all kinds sit in heaps and leach into our water. Others believe, as Mello does, that it’s also unethical. We live in a beautiful place, but the spectre of a nuclear accident—or the thought that we are a very juicy target if a nuclear attack ever came—is not a comforting one. And how was your Sunday morning? Some days (ok, most days), I have to dig deep to push myself to make the 1.5 mile round-trip walk to the local coffee shop. I try to convince myself I make up for my sloth by parking three rows away from the door at Trader Joe’s. I went to hear Swan talk about his past exploits and his upcoming project because later this year I’ll be writing two books on the polar regions. While most of the information Swan shared probably won’t make my books, I enjoyed seeing his pictures and hearing the challenges he faced as he made his two trips. To give some perspective on the size of Antarctica, Swan put up a photo showing a member of his team surrounded by a huge expanse of white. In that moment, he explained, it would have been as if he and his partners were standing in the geographic center of the United States and they were the only people in the country. And to navigate that icy wilderness in the days before GPS and smartphones, all they used were a watch, a sextant, and the sun. If they missed their target, a U.S. research base at the pole, they could have been lost forever. Experts said they would die. Instead, they survived and missed the base by only a few hundred yards. Swan made his journey shortly after NASA discovered the growing ozone hole over Antarctica. Without the protection of the ozone, Swan’s skin burned and his eyes turned grey. Global changes made since then have stopped the expansion of the ozone hole and eventually it should return to its earlier, healthier concentration. But that experience led Swan to see the impact human activity has on the atmosphere and climate and how the effects are pronounced at the poles. Before his first trip to Antarctica, Swan turned to Jacques Cousteau for help. The underwater explorer said he would aid Swan if he promised not to leave behind any garbage or other signs of the walk to the pole. Swan agreed, even when that meant salvaging his ship, which sank before it could take him and his team to New Zealand at the end of the trip. Cousteau also gave Swan the idea for his current project: 2041. That year will mark the 50th anniversary of the signing of the Madrid Protocol, an international agreement that makes the continent a “natural reserve, devoted to peace and science.” That means countries and private companies can’t exploit Antarctica’s natural resources, as is well underway in the Arctic. Swan wants to ensure that the limits set out by the protocol (which actually took effect in 1998 and so run until 2048) remain in place. “No one owns Antarctica,” he said, and he wants to make sure it stays that way. Since his polar walks, Swan has taken part in three global environmental summits, helped remove tons of metal detritus left on Antarctica by Soviet researchers, and used his 2041 company (yes, he’s trying to earn a living with this, after his earlier trips left him deeply in debt several times) to organize trips to Antarctica. Swan wants to preserve the continent’s pristine nature and tell others about the effects of global warming on the polar regions and how changes there can affect the whole planet. A key goal going forward, he said, will be to work with China and India to reduce their emission of greenhouse gases and seek green sources of energy. Swan’s E (for Educational) Base, which is powered solely by renewable energy. Swan is also taking the renewable energy effort to Antarctica. Next year, Swan will lead another walking expedition to the South Pole. His team will meet its energy needs with special solar energy panels designed to work at extremely cold temperatures and biofuels made from food and wood pulp. Swan wants to highlight the need to move away from fossil fuels and show that if the can work in “the most inhospitable place on Earth,” they can work anywhere. Years ago, I dreamed about going to Antarctica, before scientists knew the full extent of the challenges global warming presented to the continent (and the world), before traveling there became an item on more people’s bucket list. Maybe I’ll still get there (I would love to go before I write these two books and then deduct the trip as a business expense, but that probably ain’t gonna happen). So for now, I’ll live vicariously through people like Swan, and be glad they are not content to be simply polar travelers. They’re actively working to preserve the unique, frozen environments at the ends of Earth. After spending too much time at my computer and not enough exploring the expanses of the Land of Enchantment, I finally set off on road trip this past weekend, to the Three Rivers Petroglyph Site, north of Tularosa in the southern part of the state. 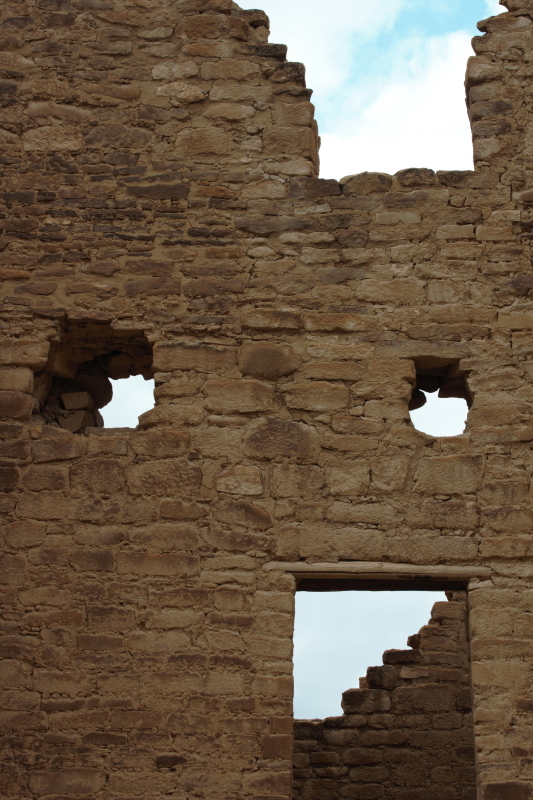 I went as part of a Meetup group that explores historical and cultural sites around New Mexico, with an emphasis on being outdoors and hiking as much as possible. It was a bit of a crapshoot, committing to spend almost 12 hours with three total strangers, but the conversation flowed easily and Charles, the leader of the group, is a dedicated hiker with a lot of knowledge about the history and geography of the areas he selects for the group to explore. I’m looking forward to another adventure with this crew. On this trip, we headed south on back roads (at least compared to the interstate), and I saw a lot of terrain I had never seen before. 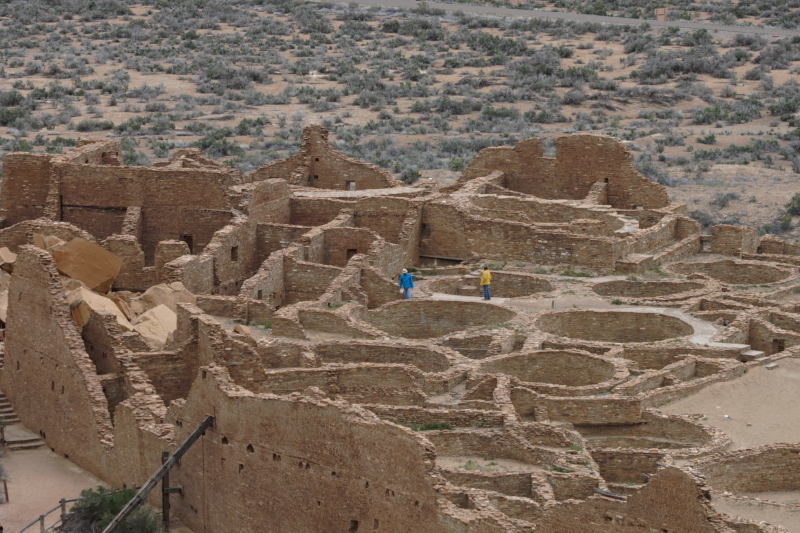 The landscape changed several times, moving through grasslands and patches of juniper. We went through the town of Encino, which, if not officially classified as a ghost town, could be. The Census Bureau says it has fewer than 100 people, but I don’t think we spotted any of them as we passed through. Nearby Vaughn (population 446) showed more signs of life, but it also had a lot of empty and dilapidated buildings along the main road. If I had been alone, I would have stopped to take pictures of some of the derelict structures; I’m thinking of a return photo expedition around sunset someday soon. Finally we reached the petroglyph site, which is administered by the Bureau of Land Management. 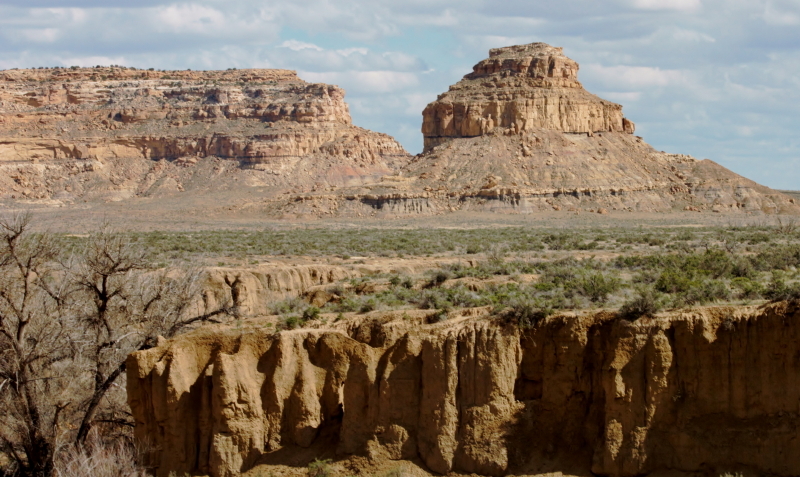 The rock carvings were the work of the Jornada Mogollon, who came to the region around 900 CE. 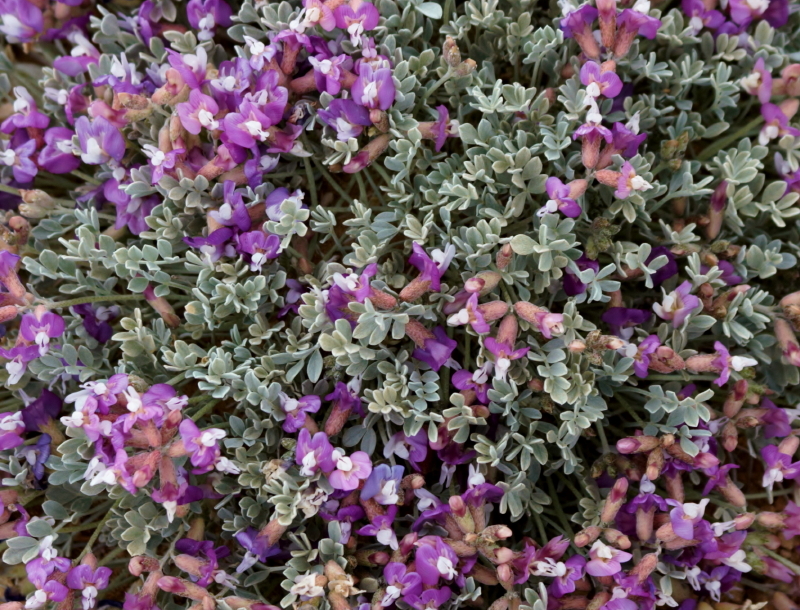 The Mogollon, whose name comes from a Spanish governor of colonial New Mexico, lived along what is now the U.S.-Mexico border from southeastern Arizona across New Mexico. 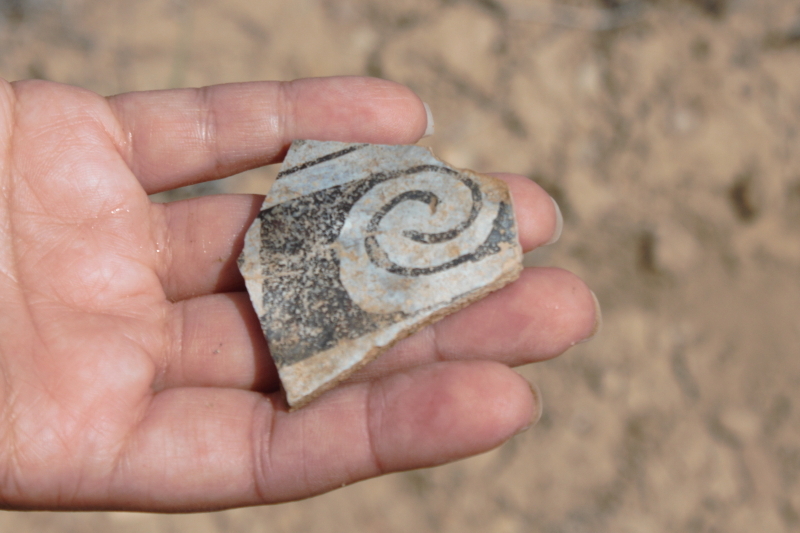 They first settled in the region a little more than 2,000 years ago. In the Three Rivers areas, the Jornada left behind some 21,000 petroglyphs, depicting animals, crops, human features, and abstract symbols. Another guest at the site that day. At the site, with the Sacramento Mountains to the east and the San Andres Mountains to the west, a short hike up to the rocks revealed carvings of different sizes. From the higher points, we could see in the distance what looked like snow, but was actually the White Sands National Monument (another trip for another day). We climbed over the rocks, took lots of pictures, then sat in the shade and talked about other sights to see in the future and trips the other members of the group had already taken together. We took a different route back, which led us through the town of San Antonio, where signs indicated that the road could be closed, because of missile testing at the White Sands Missile Range. No tests that day, thankfully, and we reached I-25 just south of Albuquerque to begin the trip back to Santa Fe. It was a day of lovely weather, history, and good company; what more could you ask for? Well, not exactly a plea, but if getting on my hands and knees would help me snag one of the ten scholarships the Dramatists Guild is offering for its conference in California this summer, I would have to consider it. Instead, I submitted the essay below, in response to one of three prompts it asked potential attendees to address. I’ll let you know how I do. What is the role of the dramatist in the community? What responsibility does a dramatist have? What responsibility does the community have towards a dramatist? I’ve been a playwright almost as long as I’ve been a cancer survivor—more than 25 years. That fact doesn’t give me the knowledge or wisdom to say what is the role and responsibility of a playwright in the community. But my experience almost two years ago helped me realize in a direct and satisfying way what one of those roles and responsibilities could be. The poster for the event, courtesy of fellow survivor Cheryl Odom. In the summer of 2013, I decided I wanted to acknowledge the 25th anniversary of my cancer diagnosis. My cancer was an “easy” one, as far as prognosis and treatment, but it was still cancer; it still haunted my thoughts when a new pain appeared, it still made me feel part of a community of survivors. I decided to stage a theatrical fundraiser for a local cancer charity. It would feature one of my short plays on the subject and the works of other playwrights I’d met in Santa Fe. As I discussed the idea with my collaborators, I learned some of them were survivors as well. Then, as the idea came to fruition and we recruited our casts and rehearsed, I came to a not exactly startling revelation: Everyone has been touched by cancer in some way. The producer in action during rehearsals (thanks to Lynn Roylance for this and the following photo). I knew coordinating the artistic and marketing sides of this weekend of staged readings would be a challenge, perhaps even more so because my one previous attempt at self-producing had been a flop, leaving me a little gun shy. But having a talented, dedicated cast and crew helped; so did knowing the money I hoped to raise would go to a good cause. So, in November, Celebrating Survival went up for its brief run. I subtitled the show “Explorations of Courage, Strength, Laughter, and Love.” I didn’t tell the other playwrights how to address the topic of cancer, but they deftly explored all four themes. And I wasn’t the only one to think so. On all three nights, strangers came up to me and told me how moved they were by the plays. Some were survivors. Some were the relatives and caretakers of people who hadn’t survived. Several people said we should take the show to other venues, or make it an annual event. The show was not perfect, of course: technical glitches, some inconsistency in the writing, a bit of hammy acting—all the typical shortcomings plagued the show. For me, juggling the overall production duties with trying to make sure my play came off well was harder than I had expected. And despite collective best marketing efforts, the houses were small, the amount of money raised was not what I had hoped. Still, I felt exhilarated after each show. Those people who came up to me and said how touched and glad they were to see those stories on stage, so like the ones they lived as they or a loved one battled cancer—that made Celebrating Survival a special event in my life. I saw something of what we playwrights do—capture moments of life, explore emotions often felt but not always expressed, bring people together for collective catharsis. So maybe all those are part of our responsibilities. And the community’s? To turn out and take part in that experience, and to let the writers know when they have stirred something deep within them. We didn’t revive the show; as much as I liked the idea of staging it again, doing it just once seemed right. But I know there are other subjects equally worthy of that kind of show. When the call comes to take part, I’ll be ready. This article originally appeared in the March 2015 issue of The Biographer’s Craft. Marshall’s novel first immersed him in the world of “literary trickster” Carlos Castaneda. In 2007, Robert Marshall, seeking to promote his debut novel A Separate Reality, wrote a lengthy piece about the New Age guru Carlos Castaneda for Salon. Among Castaneda’s books that claimed to impart the teachings of a Yaqui Indian shaman called don Juan was one also titled A Separate Reality. Marshall’s book tells the story of a ’70s teen who falls under don Juan and Castaneda’s sway—just as many real teens, and considerably older people, did during the height of Castaneda’s popularity, when he sold millions of copies of his books. Researching and writing that Salon article, Marshall didn’t know that his quest to understand Castaneda’s life would lead to his writing the first biography of a person Marshall called “the twentieth century’s most successful literary trickster.” And Marshall certainly couldn’t have known that he would move beyond being a literary detective and become something of a real one, as he tried to find clues about the disappearance of five women who had been part of Castaneda’s inner circle. Marshall began expanding on his original research and preparing to turn it into a book after everything he had collected didn’t make it into his 2007 article. He said, “I thought it would take two or three years.” Now, eight years later, Marshall thinks it may take several more years to complete the biography of a man who won praise from a wide range of admirers, from John Lennon to Federico Fellini. But even when Castaneda’s books were riding high on the best-seller lists, people began to publicly doubt Castaneda’s claim that his work reflected factual anthropological research. Traveling to Peru, meeting with relatives there and in the United States, talking to true believers and former true believers, Marshall came away with this impression: “Everything that [Castaneda] does from the moment he arrives in the United States is a performance. He discovers he can say pretty much anything about South America, or Mexico… and ‘gringo’ just buys [it].” Castaneda had some exposure to anthropological research standards while studying at UCLA, and he managed to get his first book, The Teachings of Don Juan, published by the University of California Press. Its success earned Castaneda a contract with Simon & Schuster, which published A Separate Reality in 1971. Marshall said that in Castaneda’s travels he did meet real shamans, but what he took from them and put in his books was incidental to the fictions Castaneda spun, with don Juan being the mouthpiece of the author. “Castaneda’s don Juan is Carlos Castaneda talking to Carlos,” Marshall said, with liberal borrowing, without attribution, from a host of other writers. In 1973, Marshall wrote in his Salon piece, Castaneda went into semi-seclusion; he avoided the media but still attended Hollywood parties. In the years that followed, the writer created what can only be called a cult. Select true believers, some of them women who had been or would become his lovers, gathered around him, after first changing their names and renouncing all their ties to friends and family. The true believers who followed Castaneda until his death in 1998 included the five women who vanished after he died. One of them, Amalia Marquez, was the president of Cleargreen, the corporation Castaneda had established to promote his teachings. Another, Patricia Partin, was considered a magical being known as “the blue Scout.” She was also Castaneda’s adopted daughter and lover. Marshall and many former group members speculate that the five women committed suicide. In 2003, Partin’s remains were found in Death Valley’s Panamint dunes, though they would not be identified until three years later. Since 1999, Amalia Marquez’s brother Luis had been trying to get the Los Angeles Police Department to open a missing-persons case on her. Although required to do so by California law, they refused until Partin’s remains were identified. Another family member, Dave Marin, contacted Marshall in 2012 after reading his Salon article. Marshall told Marin about a theory he had developed several years before. Two sources had told him that Castaneda had tasked Partin with finding abandoned mineshafts that might be suitable places for a group suicide. Marshall learned that Partin’s abandoned car had been found in the parking lot of one such mine near the Panamint dunes. Marshall, right, meets with U.S. Park Ranger Karen McKinlay Jones to discuss entering the abandoned mine. Marshall tried—perhaps not as hard he could have, he admitted—to push for a search of this mine. Becoming a full-time detective, he said, would have been far too time consuming. But with Marin’s urging, the Marquez family and Marshall arranged for a real search of one mine, recruiting a private investigator and specially trained dogs to help. After initially receiving approval to explore the mines, Marshall and the others were turned away in April 2014 when a park ranger claimed they had not followed proper procedures. Amid the threat of arrest and facing the park’s SWAT team, the searchers turned back. Marshall said Marin’s theory could have been all wrong, but not having the chance to pursue it was frustrating. For the biography, Marshall said, it would be fine for him to end with a mystery, rather than having the disappearances resolved. But he feels a personal responsibility to promote the families’ cause of finding answers. In December 2014, he sent out an email to friends and family, asking them to contribute to a legal fund started by the missing women’s families so they can pursue leads they have gotten about the disappearances. You can find out more about Marshall and his work at his website. 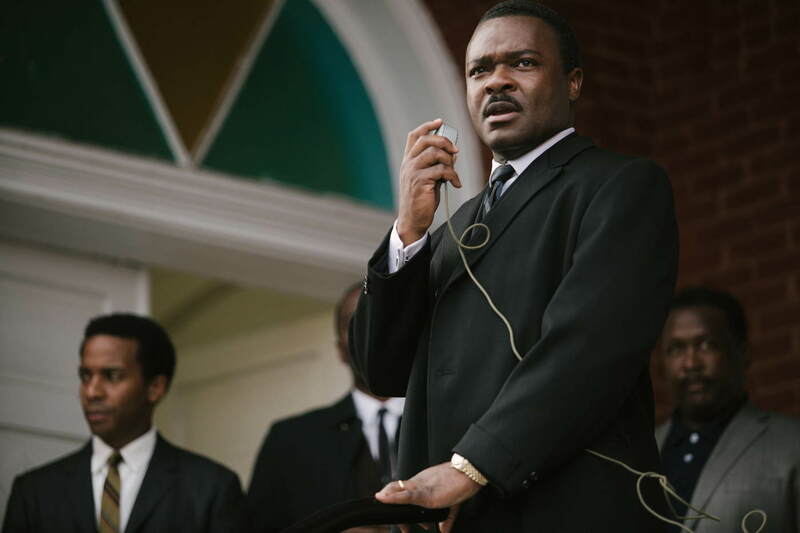 David Oyelowo as Martin Luther King, Jr. in the movie Selma. The movie Selma has won strong reviews from critics. At least one defender of Lyndon B. Johnson, however, says the filmmakers got some of the facts wrong (as if that’s a surprise when Hollywood does history), particularly in the movie’s portrayal of Johnson’s relationship with Martin Luther King Jr. and the president’s support of the Voting Rights Act, which celebrates its 50th anniversary this summer (though not without undergoing frequent legal challenges of late). I have not seen Selma so can’t weigh in on either its cinematic qualities or historical accuracy. But someone who has definite thoughts on the latter is Joseph Califano, a Johnson staffer in 1965. In an op-ed piece for the Washington Post, Califano wrote that LBJ considered the VRA one of his greatest accomplishments. Califano also said that the march on Selma was the president’s idea. I doubt that, but from the research I did for a recent You Choose book on the VRA, there seems little doubt that King and Johnson were working toward the same end before the violence in Selma and the later Selma-to-Montgomery march that did take place. Garrow’s depiction of the story seems to back Califano, so if Selma suggests there was some basic disagreement between LBJ and Johnson, then it’s bad history. But films and facts aside, what caught my eye in the Califano piece was his reference to an incident in the days of Selma 1965 that is little known today—but that played a major part in one of the threads in my book on the Voting Rights Act. Califano mentioned that “a white minister from Boston was killed” after the initial violence in Selma on March 7. That white minister was James J. Reeb, a Unitarian Universalist who had moved from Philadelphia to Boston in 1964 to work for the American Friends Service Committee. The Quakers were working to improve housing for poor African Americans in the notoriously racist “Athens of America,” and Reeb, who was committed to civil rights, took over their program there. 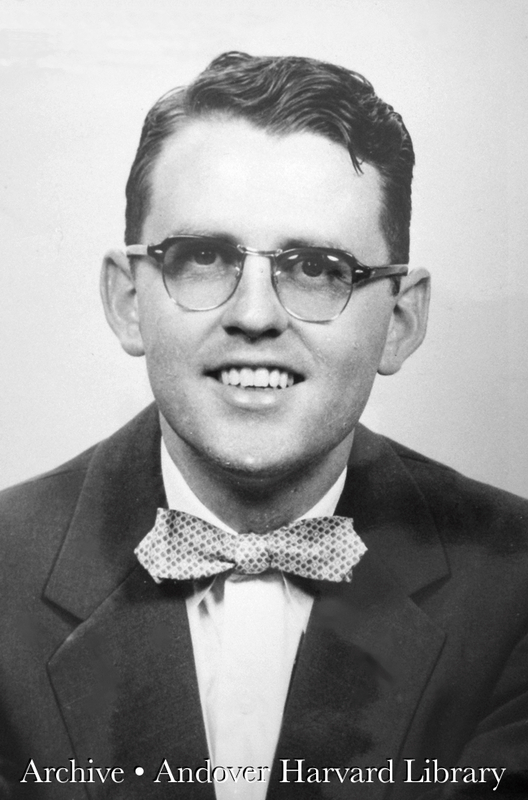 Reeb remained active with his denomination’s ministers’ association and a committee on race, though he did not have a congregation of his own. A scene of the violence from March 7. 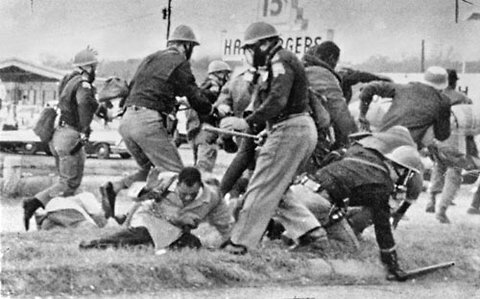 On March 7, 1965, civil rights marchers in Selma attempted to march to Montgomery and were brutally attacked by Alabama state police, county sheriffs, and horse-riding local vigilantes known as possemen. Reverend King quickly put out a call to religious organizations across the country. He wanted both blacks and whites to converge on Selma and protest the state-sanctioned violence and continue the fight for voting rights for all. “In this way,” his telegram read, “all America will testify that that the struggle in Selma is for the survival of democracy in our land.” Reeb answered the call, joining about 60 other Boston-area Unitarians in traveling to Selma. Reeb knew he was entering a violent arena, and his wife did not want him to go. But on March 9, he found himself marching through Selma with hundreds of other whites and many more blacks, as the civil rights activists once again tried to head to Montgomery. King, who had not participated in the first march, led the peaceful protesters. Alabama state troopers once again halted them, but this time without violence. Reeb was able to stand and walk away, but his head injury soon left him incoherent. Within two days, he was dead. Not surprisingly, the death of a white minister in Selma drew national attention. On March 15, speaking to Congress to urge passage of the Voting Rights Act he was about to introduce, President Johnson noted Reeb’s violent end (which would go unpunished, despite Olsen’s eyewitness testimony against three men charged with the assault). Wade Henderson of the Leadership Conference on Civil and Human Rights speaks out against the U.S. Supreme Court’s 2013 decision to strike down part of the Voting Rights Act. Click on the pic to read the New York Times story on the decision. Reeb has been called a martyr of the civil rights movement. His efforts show, as Johnson’s did, that some whites knew in 1965 that it was time to take action in creating the democracy we claim to cherish. It’s a shame that 50 years later, other whites still want to make it hard for all Americans to exercise their right to vote. 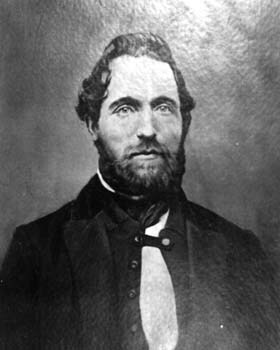 On April 29, 1862, Timothy Webster prepared to die. He would soon become one of the hundreds of thousands of Americans to perish because of the Civil War. But Webster was not a Union or Confederate soldier or an unfortunate civilian caught in the crossfire. Webster was a spy for the North—and the first spy to be executed during the four-year conflict. Webster’s name doesn’t appear in many history books, except perhaps ones devoted to Civil War espionage. I came across his story while researching a You Choose book on spies of the Civil War (due out next year). His exploits provided the background for one of my three story threads, and after finishing that book, I began doing a little more research on Webster for a query I wanted to write for a children’s magazine profiling little-known heroes of the Civil War (you can read about my time at Yale University doing that research here). Unfortunately, the deadline for submitting the query passed before I could get my act together and write it. But like any historian, I didn’t want my research to go for naught, hence the post you’re now reading. Most of the information about Webster and his undercover work came from his boss, Allan Pinkerton, of the Pinkerton Detective Agency. Pinkerton and his operatives—including several women—formed the core of the Union’s first spy service during the war. Even before the fighting started, Pinkerton was involved in national security issues—more on that in a bit—and after the war he wrote about his and his staff’s deeds of derring-do in The Spy of the Rebellion. Pinkerton, though, had a habit that has made life hard for historians: he liked to embellish the truth. For more than a century, popular writers took Pinkerton’s words about Webster as gospel and passed them along. It took Corey Recko, with his 2013 book A Spy for the Union, to poke holes in the tall tales with well-researched facts (I’m indebted to Recko’s work both for my You Choose book and this piece). As it turns out, the truth is intriguing enough, painting a portrait of a calm, brave agent working behind enemy lines. Webster came to America from England when he was 12, and in his early 30s joined the New York Police Department. While on the force, he met Pinkerton, who convinced him to come to Chicago and join his detective agency. That habit of easy adaptation helped Webster gain the trust of Confederate sympathizers in Maryland even before the start of the war. Along with Pinkerton agent Hattie Lewis, Webster went to Perryman, Maryland, shortly after Lincoln’s election. The two were supposed to gather information about rumored plots to blow up railroads in the state. Instead, Webster heard anti-Lincoln men talking about the possibility of the president’s assassination as he passed through Baltimore on his way to his inauguration. That and information gleaned by other agents convinced Pinkerton that the threat of an assassination was real, even if he didn’t have concrete evidence of a well-conceived plot. 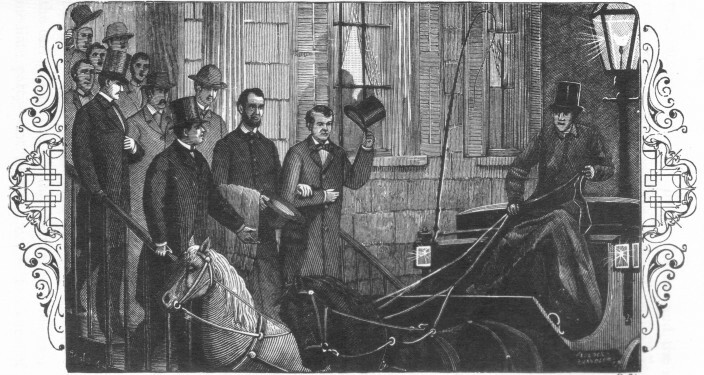 Lincoln’s safe arrival in Washington , as depicted in Pinkerton’s book. When the time came for Lincoln to travel through Baltimore, he did it in disguise, secretly in the dead of night, with Pinkerton and several armed detectives traveling with him. Along the route, Webster stood watch, and as the train passed through Havre de Grace, he used a lantern to signal that all was clear. Lincoln reached the capital safely, though he regretted the clandestine trip. After being ridiculed in the press, he called the trip a “grave mistake,” from a political perspective. But as Lincoln scholar Harold Holzer notes in his book Lincoln President-Elect, given the real assassination plot of 1865, Pinkerton was not unwise to take the earlier rumors and threats seriously. As for Webster, when the war broke out he found himself in Maryland, posing as a friend of the Confederacy. In that guise, he convinced real pro-South men that he wanted to arm Baltimore residents to battle Union troops. He also traveled into Rebel territory, visiting Tennessee and befriending Confederate officers, who openly talked about troop movements and strength. Everything he learned, Webster sent back to Pinkerton. Later in 1861, Webster went to Richmond, maintaining his ruse as a Confederate supporter. He carried messages from Confederates in Maryland to the South’s capital, and once again he earned the trust of Confederate officers and government officials—so much so that they asked Webster to carry documents north for them. The South’s Secretary of War, Judah Benjamin, even wrote out passes for Webster so he could safely cross military lines. The Pinkerton operative coolly took on the role of double agent, with Union men copying down the contents of the messages he carried north before they reached their intended recipient. In Richmond, Webster once again worked with Hattie Lewis; the couple posed as husband and wife. Early in 1862, Webster fell ill, and the pair stopped sending messages north for a while. A concerned Pinkerton sent two other agents to Richmond to check on Webster. Almost immediately, they were identified as Northern detectives by someone who had known them in Washington, D.C. They were arrested and sentenced to hang. To save himself, one of the men, John Scully, confessed his espionage activities and fingered Webster and Lewis as spies. Later the other nabbed agent, Pryce Lewis, followed Scully’s path. Both men avoided execution. 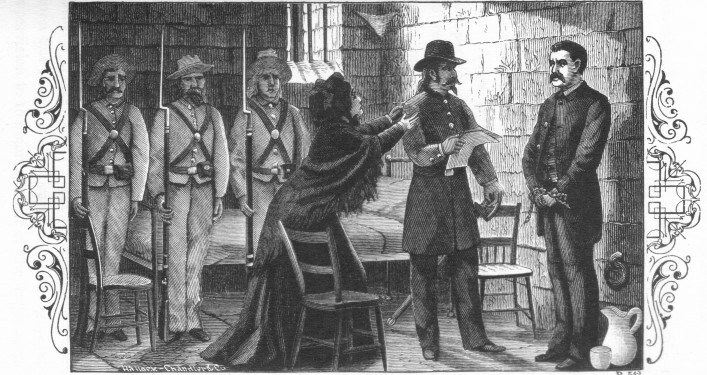 Webster receive his warrant for execution, also from Pinkerton’s book. But not Webster. Neither side had executed a spy at this point in the war, but Corey Recko speculates that Confederate leaders were so angry at being duped that they wanted Webster dead. He was executed on April 29. In Pinkerton’s telling, Webster asked to be killed by a firing squad, rather than to be “hanged like a common felon,” but the Southern commander in charge refused. When the time came, Webster stood calmly with the noose around his neck. The trap door swung open, but something went wrong—the noose slipped and Webster did not die. As the Confederates prepared the gallows again, Webster said, “I suffer a double death.” This time the procedure went as planned and Webster was soon dead. Very church-like, as you can see. For a writer, especially a non-fiction writer, a library is an almost-sacred place. Yes, the Internet has made researching at home or on the go much easier, but we can find some books and other important resources only in a library. And on a recent trip back east to visit friends and family, I did research not at just any library, but Yale’s Sterling Library. I had spent many hours there several years before, when I lived just outside of New Haven. A yearly fee (a hefty yearly fee…) gave me access to the stacks and borrowing privileges. While on campus, I also had the chance to explore the Beinecke Rare Book and Manuscript Library, an experience I recounted in a previous blog. Beinecke overwhelmed, of course, with its presentation of iconic texts throughout history. And while research goes on there, Sterling is a more nuts-and-bolts kind of place. On the recent trip, I spent my time at Sterling in the basement in front of a relic of library research, a microfilm machine. As the librarian gave me a quick overview of how theirs worked, I remembered the many hours I had spent in from of them years before (history majors tend to do that, at least in those ancient days). I studied mid-19th century editions of the Hartford Courant to learn about Know Nothing rule in my home state. I poured over documents of all kinds to gather evidence of anti-Italian immigrant feelings. More recently, I loaded up the spools to research a book on famous crimes of Minnesota (enough recounting of macabre dealings to last a lifetime there). At times, ads and articles totally irrelevant to my search dragged my attention from the subject at hand; just a pre-digital version of today’s following link upon link away from the page your reading on the Web, I suppose. Those pleasant distractions came up again on my recent trip, as I dug for information on Timothy Webster, a Union spy hung for his activities in the South. The Webster research is for a proposal, and I might end up never writing about his service as a double agent during the early days of the Civil War. But the time in front of the microfilm reader gave me a chance to learn more about the plot to assassinate Lincoln before his 1861 inauguration, and of the women who worked as agents alongside Webster for Allan Pinkerton, he of the detective agency, who ran some of the Union’s first efforts at espionage and counterespionage during the war. It all made for fascinating reading. And as usual when I’m in a library, I felt at home.